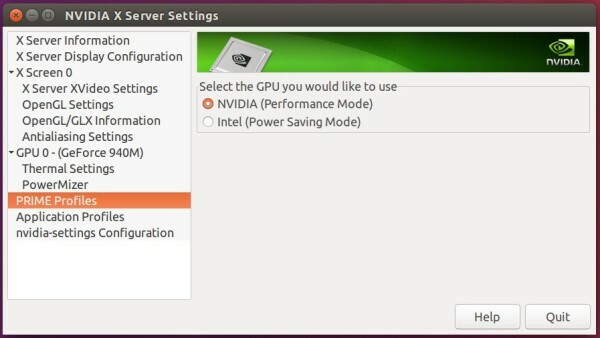 The problem I faced was that my laptop has dual graphic cards (Nvidia + Intel) and it uses automatic graphics switching on Windows but on Fedora, I wasn't able to achieve the same level of functionality. Open source drivers had issues with some applications and proprietary drivers locked me into one of the two cards. So for convenience I switched back to Windows. I gotcha. I have the same issue with my System76 laptop. I think the System76 guys worked it out, at least for their newer laptops, but I couldn't make it fly on my first-gen Oryx Pro. I think, moving forward, AMD will rule the roost in graphics for Linux. They've opened up their graphics stack and the open source driver appears to perform better than the proprietary one, now. I know in the future, I'll likely be moving to AMD chipsets because they, at least, seem to get it. Yeah it would be great if graphics switching was natively supported. However, I wasn't able to connect from the host machine. It's likely that there is some issue with my network, so I will see if I can sort it out. I am guessing you don't necessarily need to access it from the host. It would be convenient. But likely you will do all the editing and viewing on the guest operating system directly. As there is where the Wiki files are and where you control the LAMP stack. And you can still say you use Linux. Maybe you could give Ubuntu one more try and to see how it goes. And share the results? You can tweak background colors in Preferences and you can tweak the visual properties of the selected geometry. Or just do it in for example Inkscape. On how you feel FreeCAD viewport should look and feel like by default. The results likely won't lead to anywhere. Therefore i can understand if you won't invest the effort due to motivation being low. But i guess it would be interesting to see what solutions you would propose in this area. I actually just tested this on my laptop with Ubuntu 18.04. I have a GTX 1060 and an i7 with an Intel 650 chipset. Turns out, it works fine. The only issue is I have to reboot to switch cards. I've seen evidence that you can just do it by logging out / in, but couldn't make that work. I see that's how it works. I thought it was important to connect through the host system. Thanks, there are many things I didn't know about switching graphics on Linux. Next time I will give it a try on Ubuntu. Even better would be that, there can be a 'Presets' drop-down menu in the preferences that includes a few color schemes by default which users can select from or add their own. How about we start considering a 'smart' download page that is superior to the wiki Download page and github release page? 'Smart' as in we use scripting to identify the OS of the browser and offer the downloads (stable and development) we currently are on to the user? This would be a big win for newcomer experience but I am not sure of how we ought to implement it. … you are always using the same sequence of pictures on the starting page. Gets a little bit boring over the distance. Do something for the curiosity. How about selecting an actual example pic out of the forum as a "cover girl" in a daily / weekly / monthly show (November-Model !!!). For example JIMIDI in the French forum always has some nice teaser in his portfolio. There are lots of great images in the Users Showcase forum section too, and ppemawm has done some fantastic work. You mean only for the screenshots on the website, or as a new default FreeCAD background colour? Assuming it's the latter, the current bluish background does look quite dated. It's based on CATIA V5 which is very old, and has never had a good-looking UI in the first place! I believe a few current CAD programs have settled on pure white, like Onshape and possibly SW. On the other hand, I think pure white is not good for people with some view disabilities (there was a recent topic about it). Of course, a lighter background would require changing the Sketcher colour scheme and possibly others.